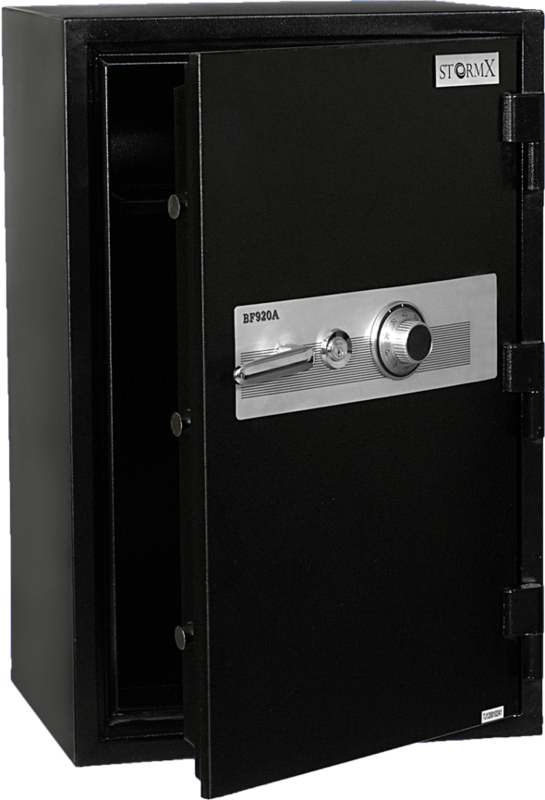 With incredible protection against a variety of threats, StormX Burglary and Fire Safes provide an unmatched value in home and commercial security. 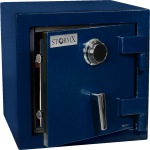 Whether facing a professional burglary attack or a blazing fire, StormX Burglary and Fire safes will ensure your priceless valuables remain unharmed. 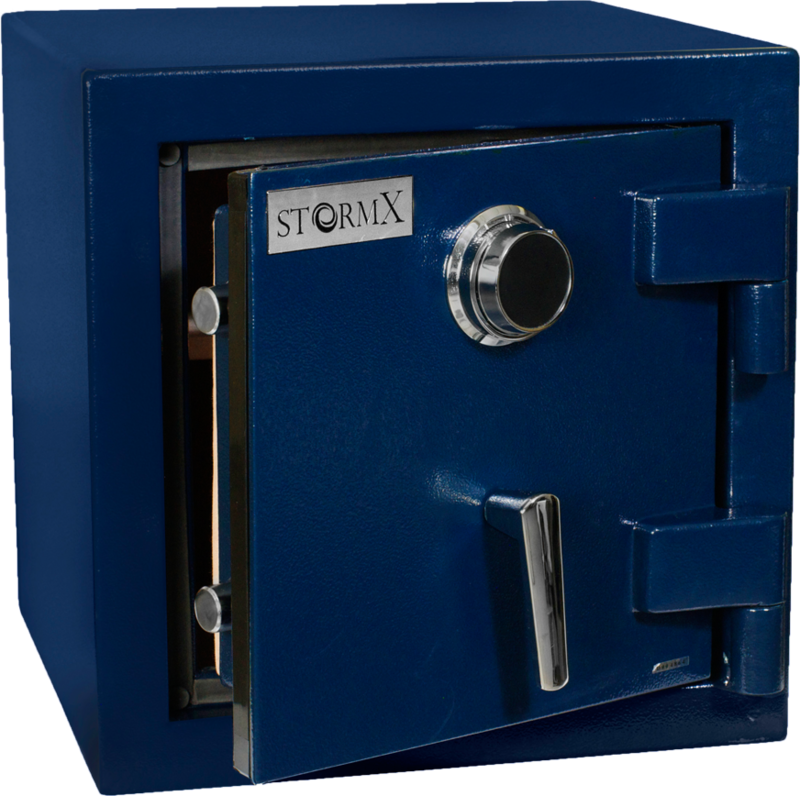 StormX Burglary and Fire Safes utilize special fire resistant linings allowing them to carry a factory 30 minute fire rating. 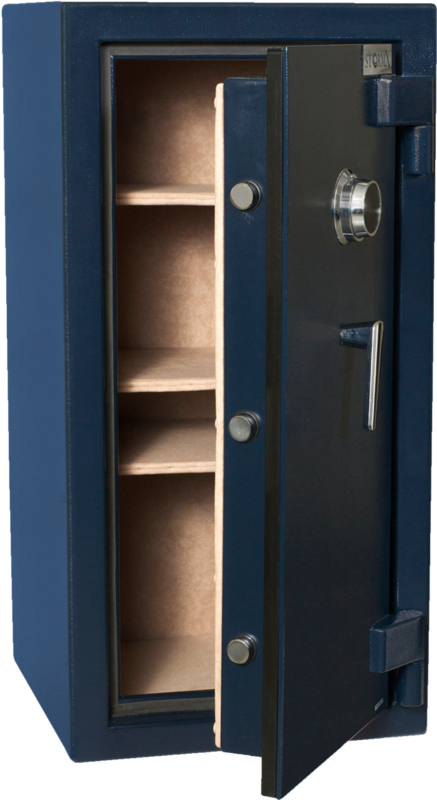 StormX Burglary and Fire Safes also provide a number of high security features such as a professional grade LaGard UL Group 2 combination lock. heavy duty 4 way boltwork (multiple 1 1/8″ diameter bolts and each side of the door), a heavy steel door (1/4″) and body (1/8″), and heavy duty hinges. 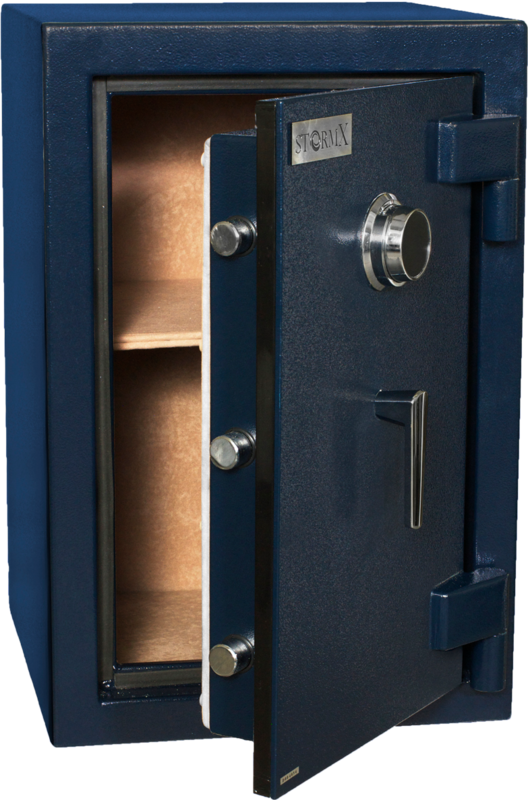 StormX Burglary and Fire safes are available in a range of interior volumes from 2.62 cubic feet to 5.54 cubic feet. All size also come equipped with interior shelves and a soft carpet lining to prevent scratching of your valuables. 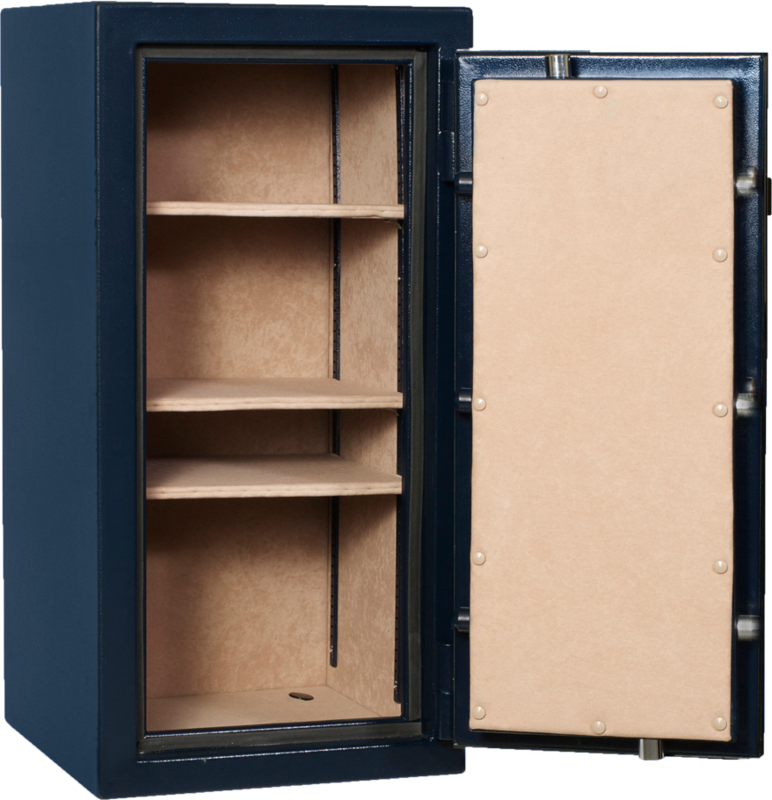 Safes are available in a stylish blue colour (BF2020, BF3020, BF4020) or black (BF926A).